Do you know what really gets my goat? Noisy people in public places. 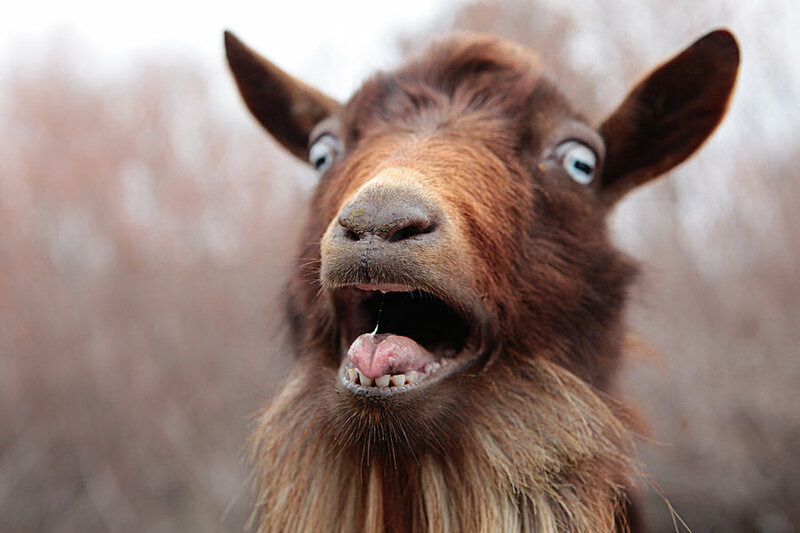 When folks around me in church or at the movies make a lot of noise, my goat is really and truly gotten. I would almost rather be surrounded by goats than by noisy people. Almost. I understand that most people are sometimes a little louder than they mean to be. I sure am. That said, how can anyone excuse talking over a movie at the theater, or worse, a service at church? Do people not realize their chatter is disruptive, uncaring, and rude? I try not to get angry about little things, but seriously… this one infuriates me. And do you know… what happens… to things that infuriate me? NOISY PEOPLE IN PUBLIC PLACES ARE WORST PEOPLE. HULK NOISY AND SPEAK IN ALL CAPS, BUT NOT IN CHURCH OR AT MOVIES. LOUD PEOPLE NOT SO BAD IN MALLS AND RESTAURANTS AND OPEN SPACES. BUT NOISY PEOPLE ARE WORST IN CHURCH AND MOVIE THEATER. OTHER PUBLIC PLACES NOT STRUCTURED AROUND CENTRAL EVENT. NOISE IS FINE THERE. NOISE NOT DISTRACT FROM EVENT. CHURCH AND MOVIE THEATER ARE DIFFERENT. THEY ARE STRUCTURED AROUND EVENTS. CHURCH AROUND MUSIC AND SERMON. MOVIES AROUND MOVIES. NOISE IS RUDE THERE. NOISE DISTRACTS FROM EVENT. THERE IS IMPLICIT UNDERSTANDING AT CHURCH AND MOVIE THEATER THAT NOISE SHOULD BE KEPT TO MINIMUM. NO PHONES. NO CHATTER. WE ALL KNOW THIS. WE SHOULD NOT DISRUPT WITH UNNECESSARY NOISE. WE WORSHIP GOD OR ENJOY SHOW. THAT IS PURPOSE OF CHURCH AND MOVIE THEATER. PURPOSE OF CHURCH AND MOVIES NOT FOR AUDIENCE TO MAKE NOISE. NOT FOR GOSSIP OR CHATTER OR COMMENTARY OR CLOWNING AROUND. RUINING EVENTS FOR OTHERS BY MAKING SELFISH NOISE IS IMMATURE AND INCONSIDERATE. THERE ARE ONLY FEW EXCEPTIONS TO RULE FOR NO TALKING AT MOVIES. NOISY CHURCHGOERS ARE MORE GUILTY THAN NOISY MOVIEGOERS. CHURCH SERVICE IS TIME FOR WORSHIP LORD GOD ALMIGHTY. NOT TIME FOR SMALL TALK. YOU SHOULD KNOW BETTER. DO UNTO OTHERS. CHAT AFTER CHURCH SERVICE. HONOR GOD BY LISTENING. CHURCH AND MOVIE THEATER ARE PRIVILEGES. PRIVILEGES COME WITH RULES. RULE OF CHURCH AND MOVIE THEATER IS NOT MAKE NOISE. IS NOT THAT FREAKING HARD. HULK NOT GO TO CHURCH TO LISTEN TO CHURCHGOERS CHATTER AND GOSSIP. HULK NOT GO TO MOVIES TO HEAR MOVIEGOERS’ COMMENTARIES. HULK GO TO CHURCH TO BE NEAR GOD AND TO MOVIES TO WATCH MOVIES. LET HULK DO THESE THINGS. PLEASE. HULK TIRED OF HEARING INANE CHATTER WHEN HULK JUST WANT TO WORSHIP GOD OR WATCH MOVIE. PLEASE BE RESPECTFUL. AT LEAST BE QUIET. PLEASE. …What was I talking about? Noisy people? They’re the worst. That’s all. 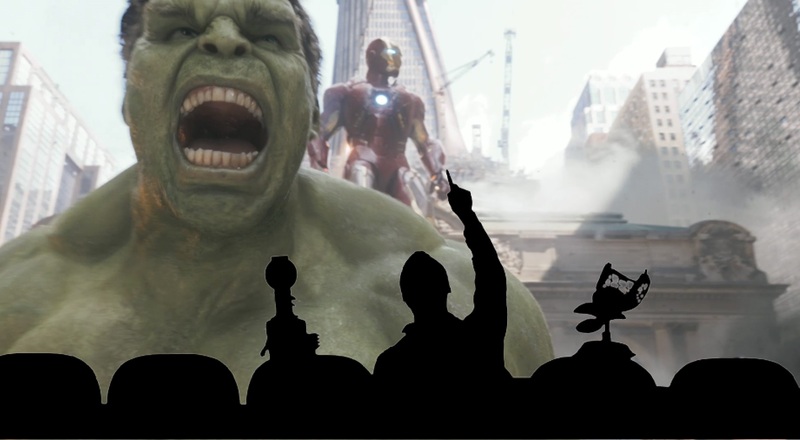 This entry was posted in Life, the Universe, and Everything, TV & Movies and tagged church, geeky, Hulk rant, superheroes by Adam Stück. Bookmark the permalink.